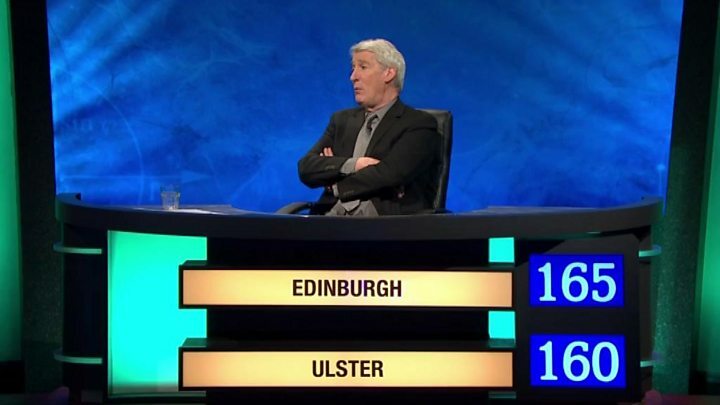 If you tuned into University Challenge on Monday, you'll know that a team from Ulster University (UU) lost narrowly to the University of Edinburgh. It was the very first time UU has entered a team on the quiz and with an average age of 50 they were some of the oldest competitors to take part. They may have suffered a loss, but at only five points behind their rivals, they can hold their heads up high. Team member, Matthew Milliken, a PhD student, said it was "tremendous fun". The UU team was made up of members drawn from the four campuses in Belfast, Coleraine, Jordanstown and Londonderry. As well as Matthew, from Comber, County Down, it consisted of Cathal McDaid from Buncrana, County Donegal, Kate Ritchie from Waringstown, County Down, and captain Ian Jack from Peterhead in Aberdeenshire. Matthew told BBC's Good Morning Ulster that the team hadn't set their sights too high. "We set ourselves a target of not being the lowest ever score, but we exceeded that ambition." They even got a tweet today from University Challenge legend Bobby Seagull who said it was the highest losing score in the last six years. Monkman v Seagull: The greatest face-off of all time? Why do University Challenge contestants go viral? The team were able to have a joke with the famously stern presenter, Jeremy Paxman. "In the picture round, the picture came up on the screen in front of us. It was a round on actors who had played a part on Broadway and gone on to win an Oscar for the film," Matthew said. "The picture was Yul Brynner and I do have a pretty similar hairstyle to him. I buzzed in with the right answer. 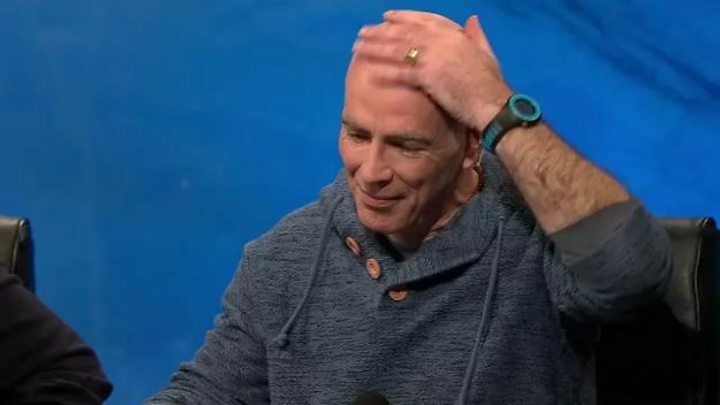 "Jeremy Paxman, looked across at me, raised an eyebrow knowingly and I removed my glasses and wiped my baldy head. "As I said to my daughter, 'Your daddy's a meme' ". Matthew added that the university had never made an attempt to get on the show before. "It would be really easy for it [to be] populated with Oxbridge students. There are so many colleges and phenomenally intelligent young people over there. "We're a bunch of folk who have, perhaps struggled a bit to come through this stage of education. I proudly boast that I scraped two A Levels and went to the poly. "I wasn't one of these kids who grew up watching the programme. It was a much more recent advent in my world." However, it's not all over for the team, as they will still have the opportunity to compete in the play-offs. We have everything crossed for you.